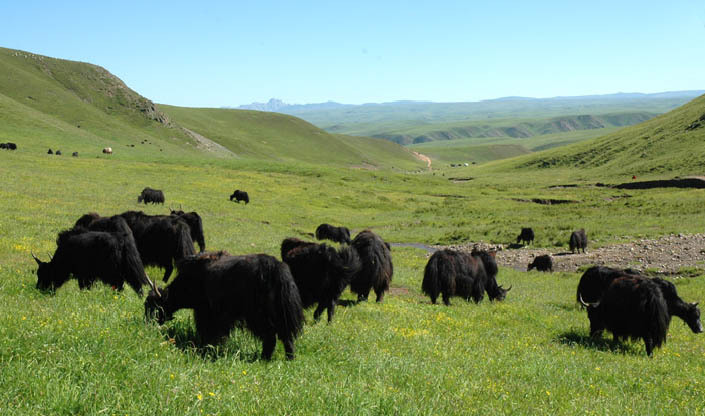 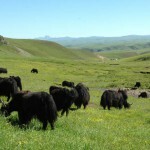 Yak in a spring pasture. 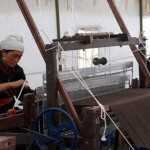 Only the hair of the two year old is used to make shawls. 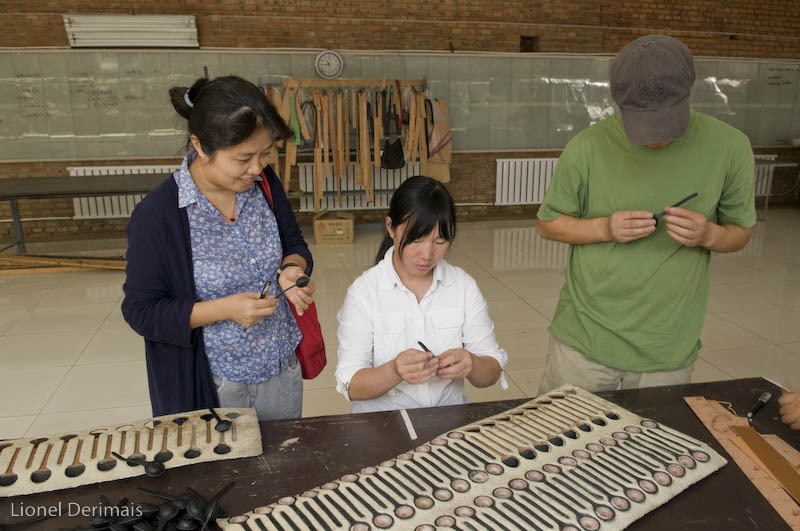 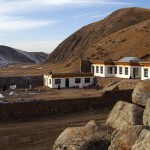 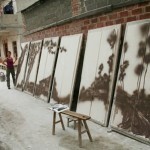 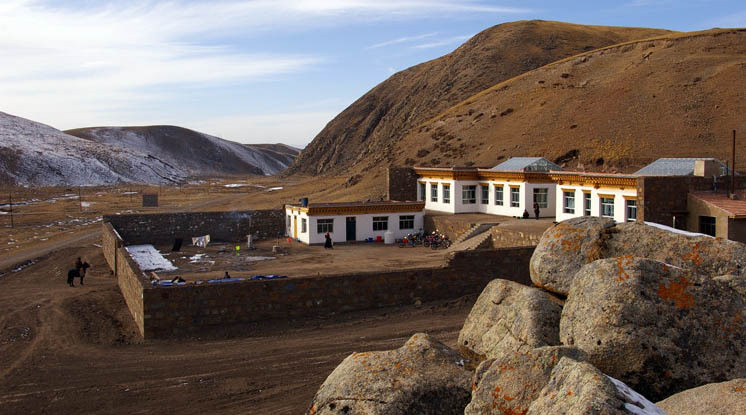 The Norlha workshops opened in November 2007 in Ritoma in Gansu province. 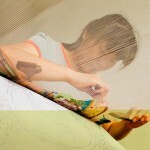 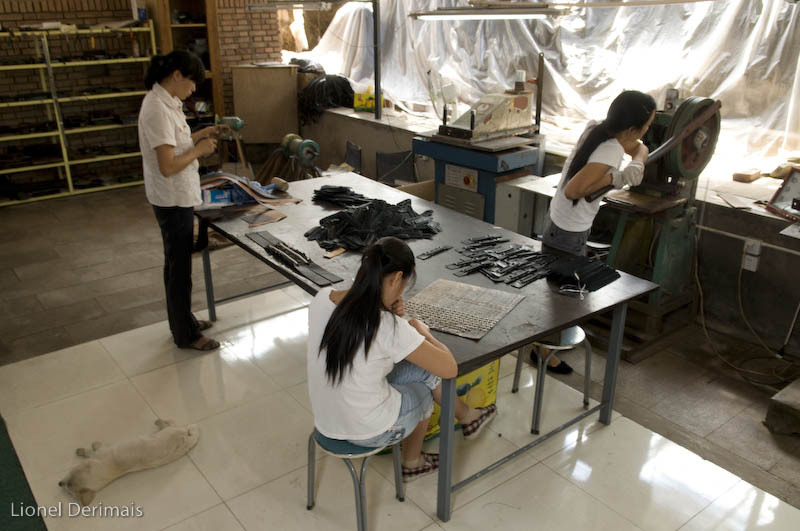 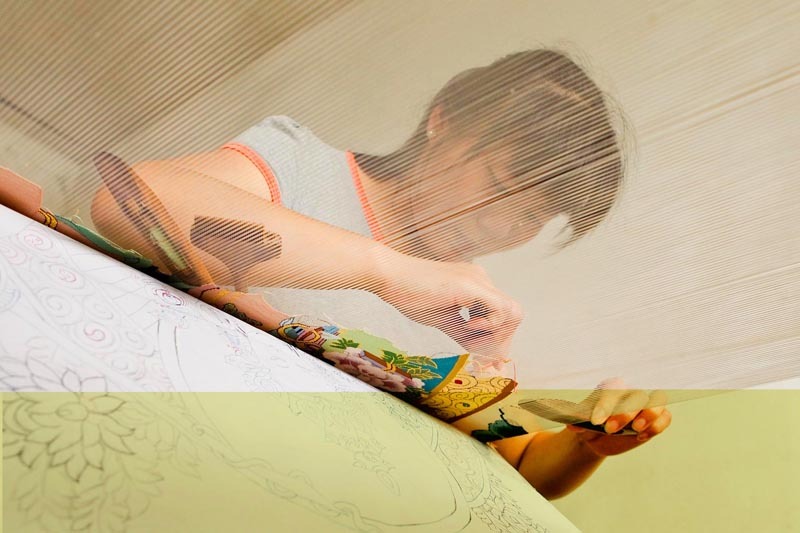 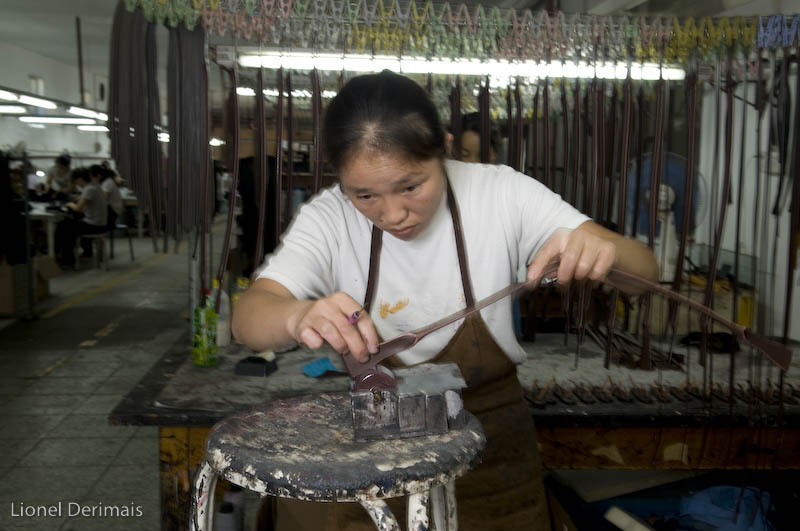 A local woman works on a wood loom in a workshop to produce a Nicely Made in China shawl. 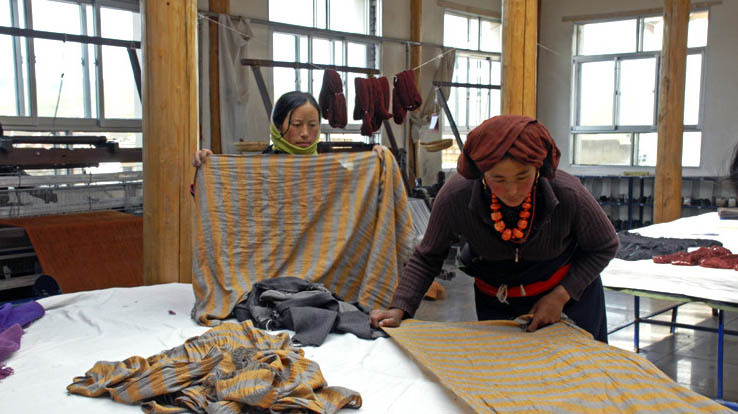 Two women with different patterned shawls that Norlha did for a French fashion house. 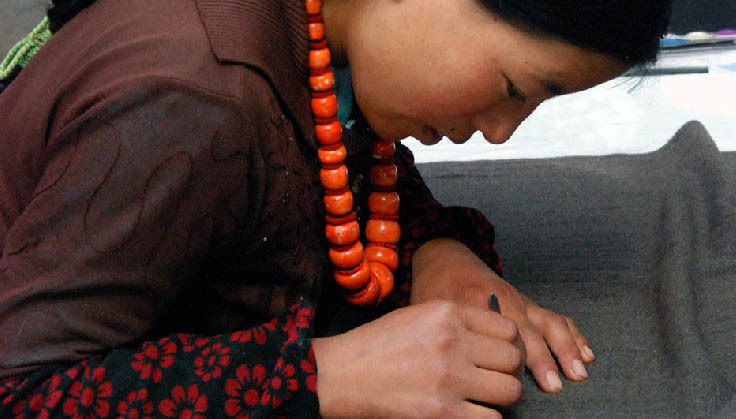 Every Norlha shawl is hand made. 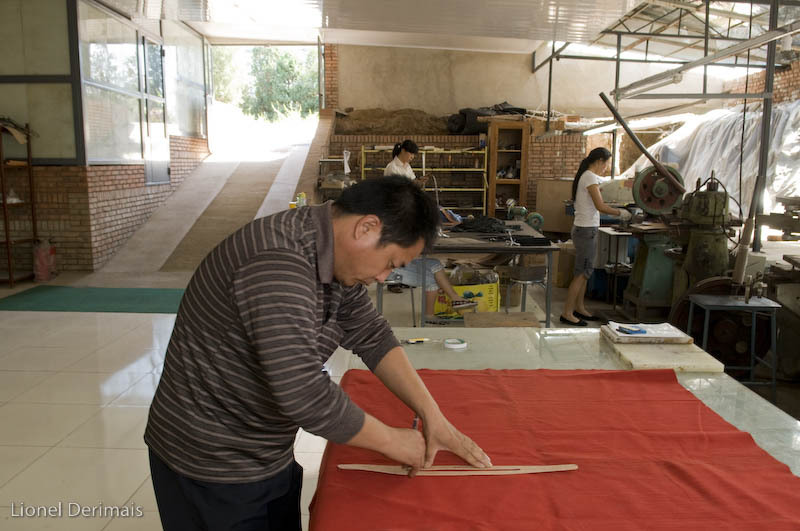 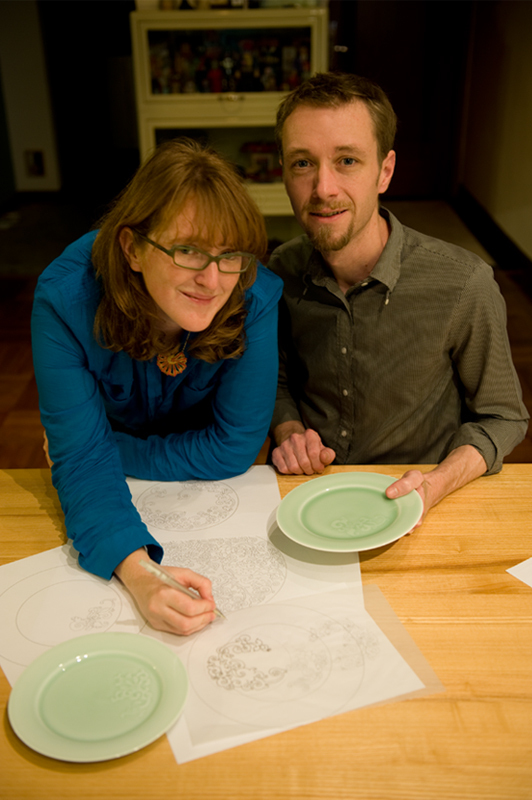 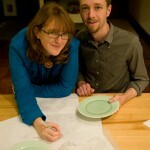 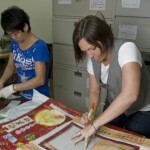 The project allowed many local people to stay and work in their home province. 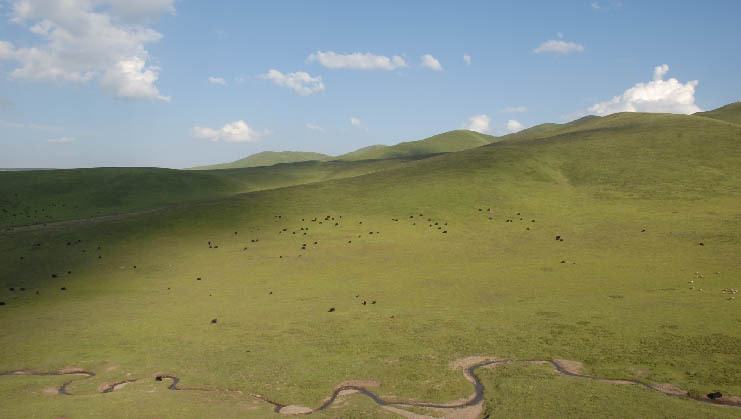 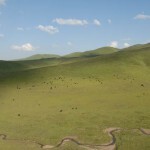 The high plateau of Gansu province. 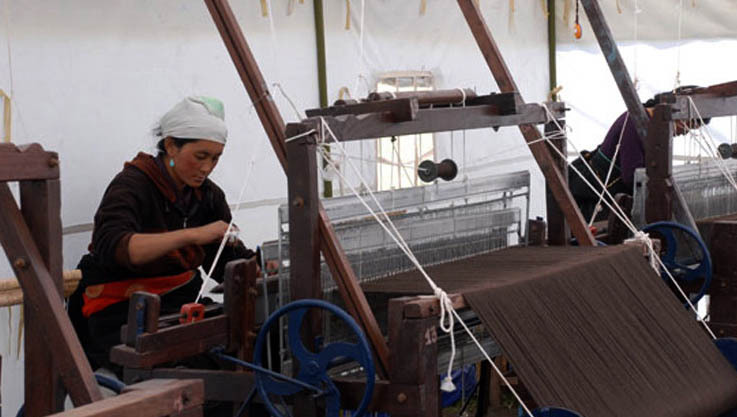 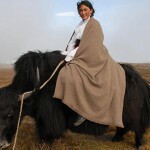 At an altitude of 3200m in Gansu province, the company Norlha produces the most exquisite shawls. 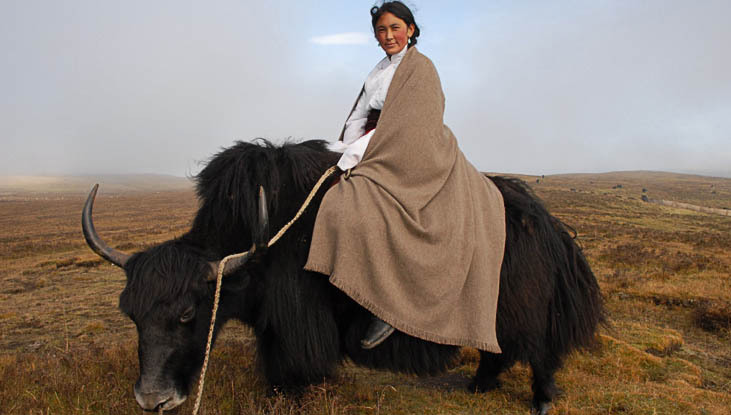 These shawls, made mainly of yak wool (khullu), have become much sought after in shops from Paris to Shanghai. 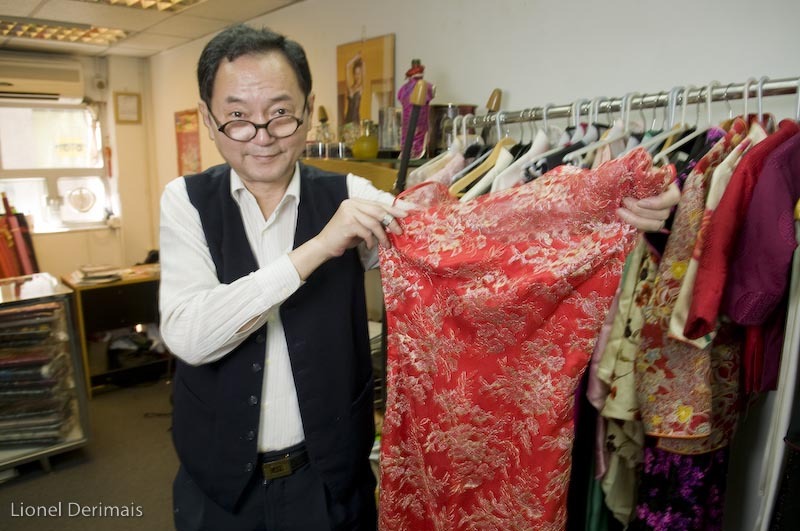 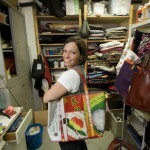 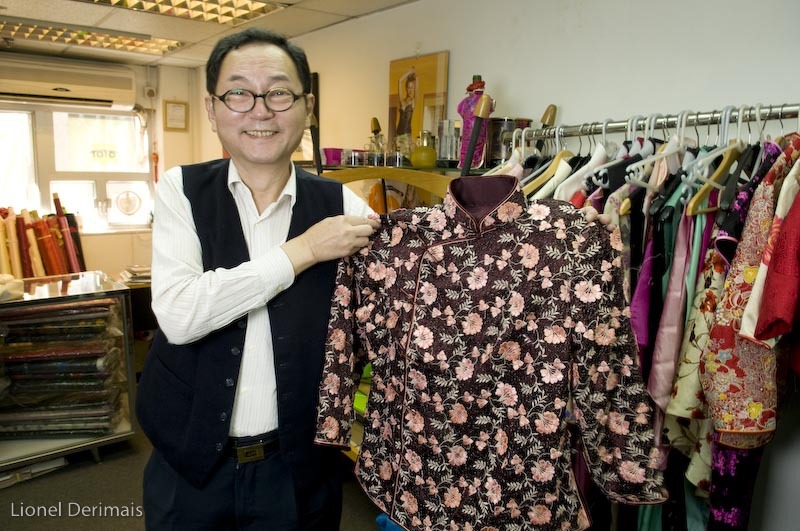 Nicely Made in China spoke to the owner, Kim Sciaky-Yeshi, to find out what makes them so special and successful. 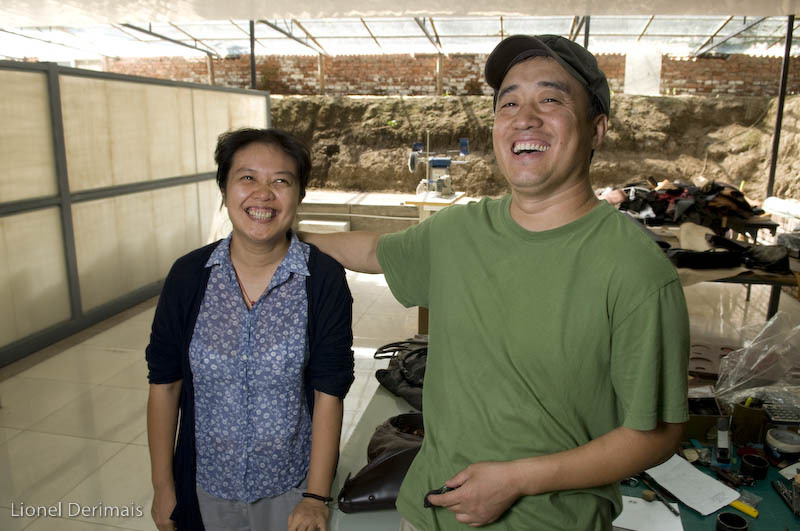 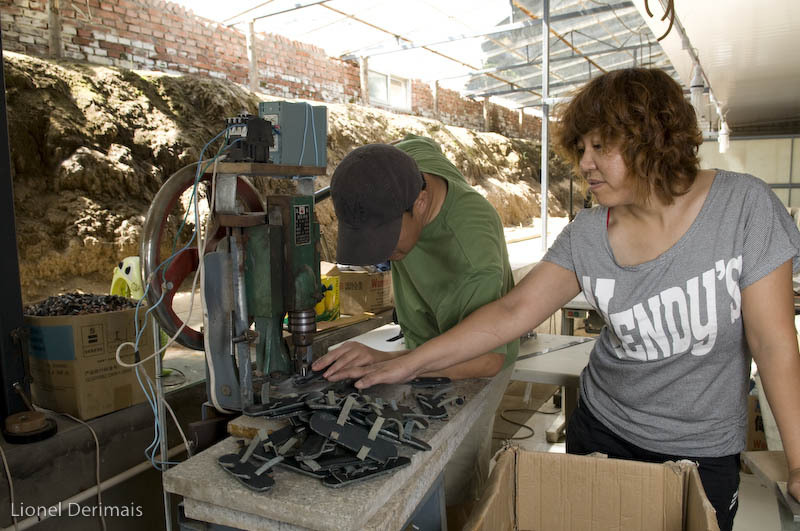 Mr Gao ZhenMin and his wife Wen YaXia in their workshop. 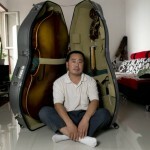 Luthier Mr Gao ZhenMin in front of his folded double-bass inside the case. 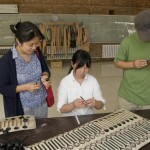 Ms Wen YaXia varnishing an instrument in the couple’s workshop. 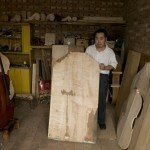 Mr Gao with a Sichuan maple soundboard ready to be mounted. 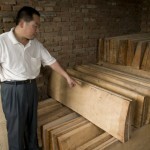 Mr Gao shows his reserve of drying wood. 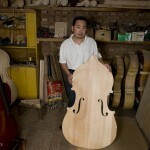 A piece of maple that Mr Gao keeps for his next commission to use as a back of a double-bass. 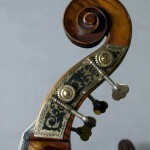 A very Nicely Made in China double-bass head with copper keys. 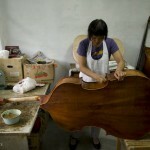 A cello Nicely Made in China by Mr Gao in his Hebei workshop. 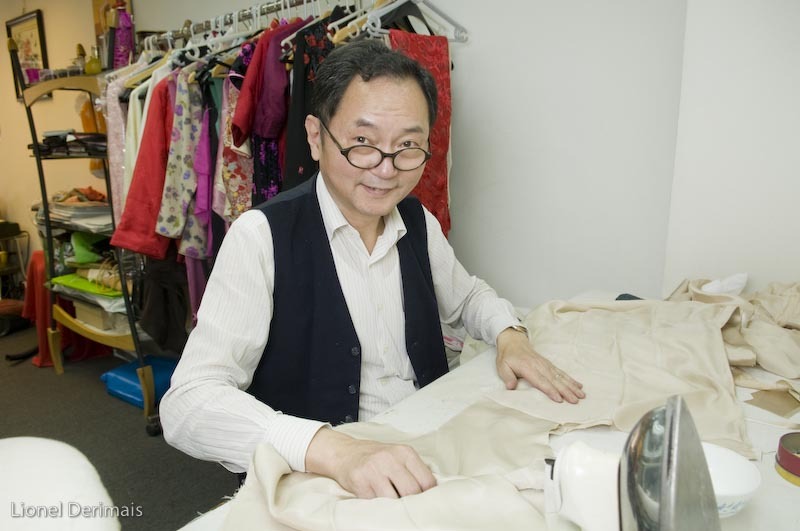 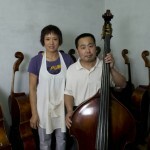 This week Nicely Made in China gives centre stage to Mr Gao ZhenMin, a luthier, owner of Huaming Bass. 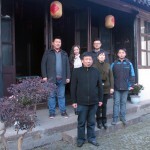 Mr Gao Zhenmin lives in Hebei and makes his speciality to build and repair double-basses and cellos with his wife, Ms Wen YaXia. 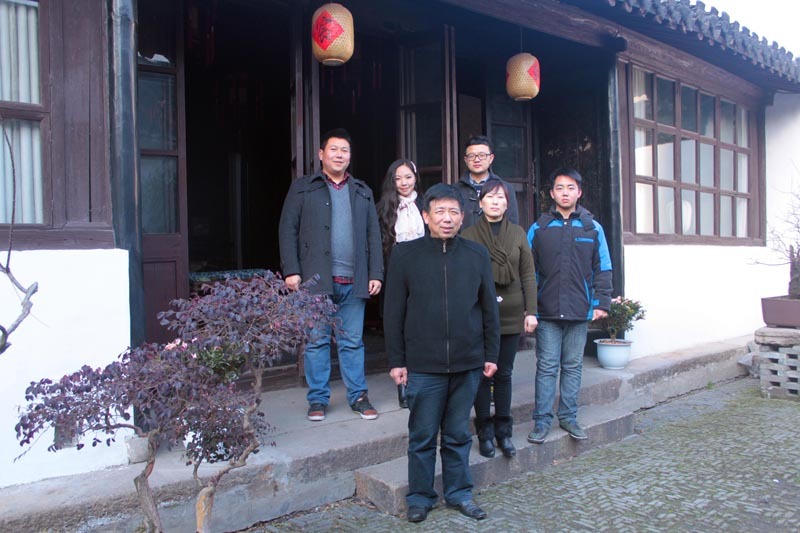 NMiC paid him a call in his Hebei workshop where a collection of stringed instruments await his attention between fragrant Sichuan maple and alcohol-based home-made varnish. 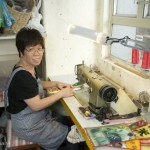 When did you open your workshop? 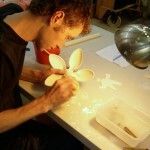 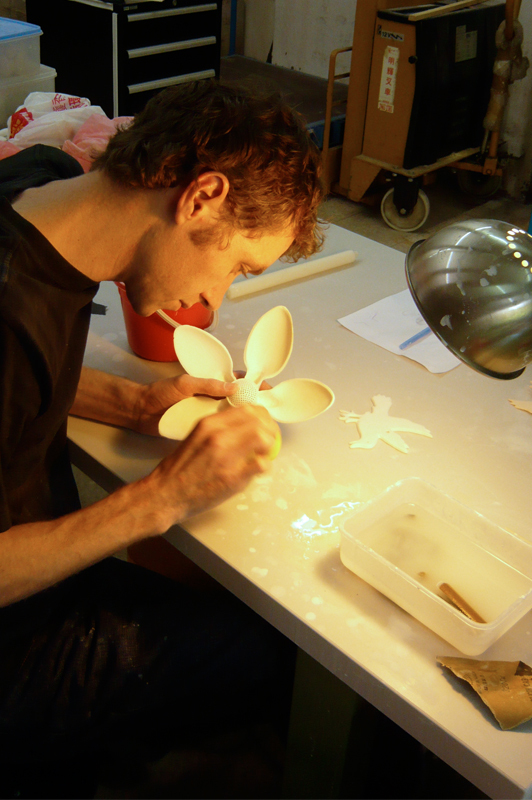 In 2004, after working for 7 years at the oldest Beijing instruments-making factory where I was assembling, adjusting and testing the instruments. 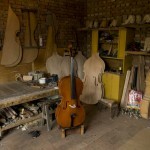 While working there I met a lot of music professors who told me there was a niche market in making instruments for high-end classical and jazz musicians. 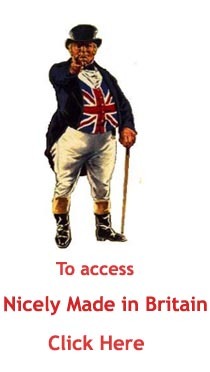 That’s how it started. 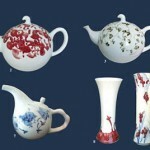 A selection of BSW nicely made in China teapots and vases. 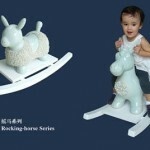 Rocking horses made of porcelain by Blue Shanghai White. 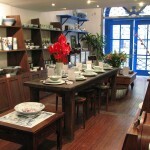 BSW shop on Fuzhou road near the Bund. 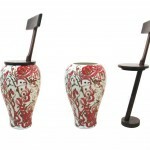 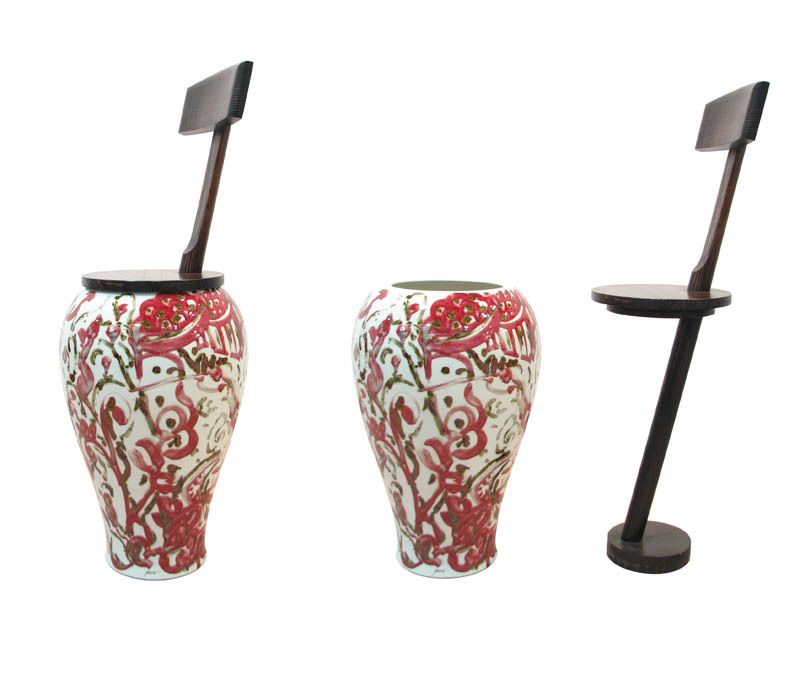 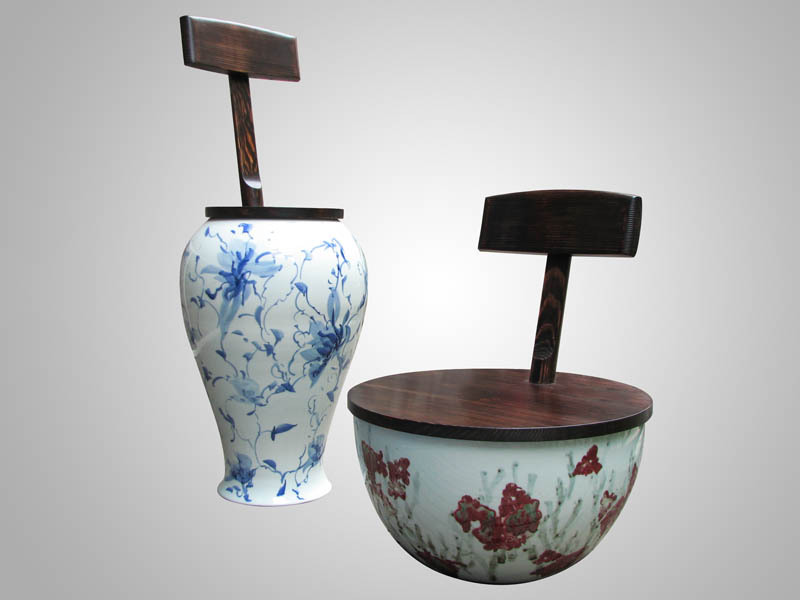 An example of alliance of porcelain and wood to create unusual chairs. 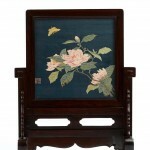 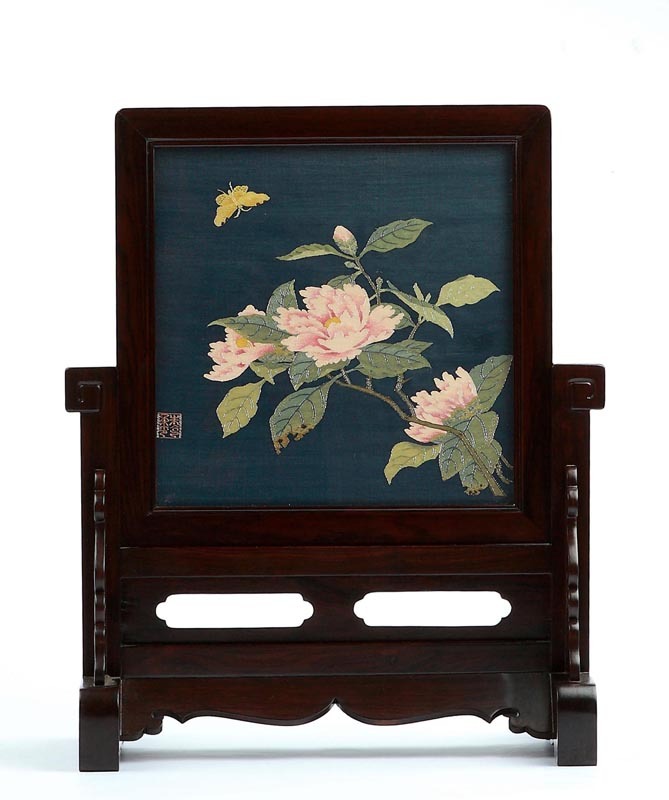 The Nicely Made in China product of the week is as old as China itself. 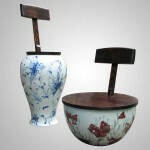 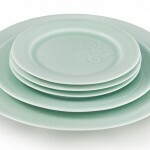 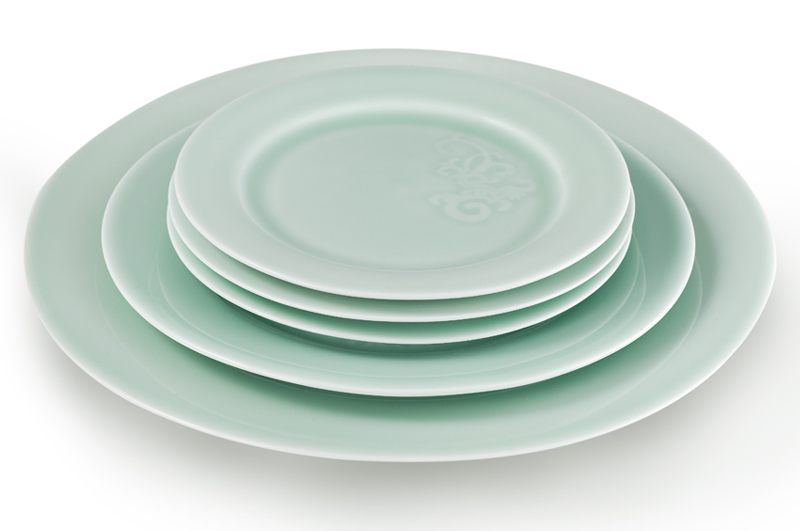 Chinese ceramics, since it is ceramics and porcelain we’ll be talking about, are back in fashion again. 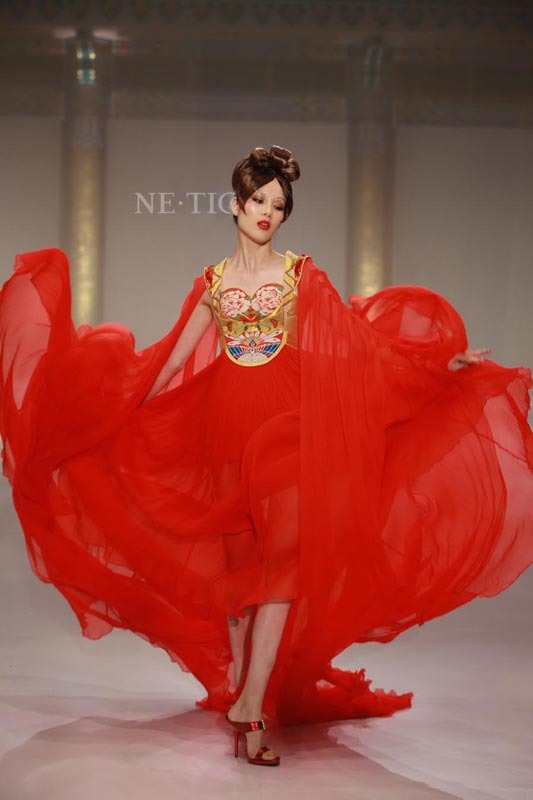 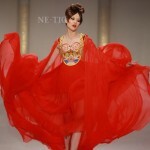 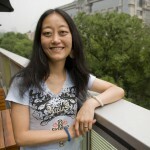 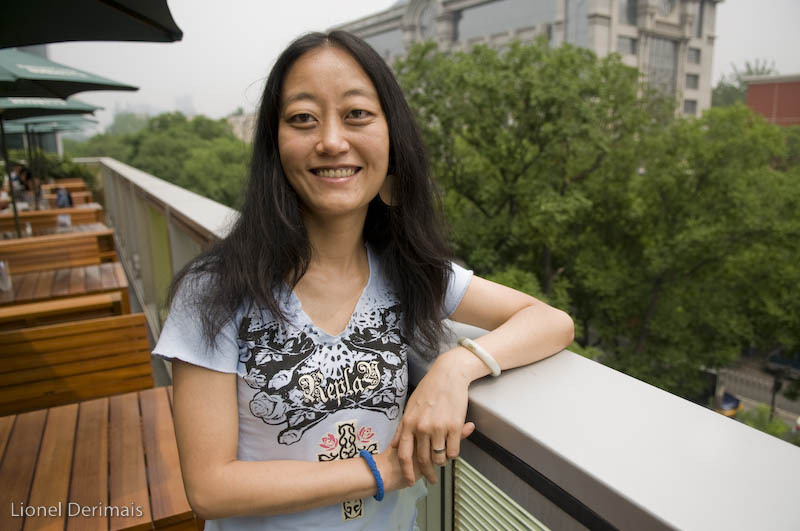 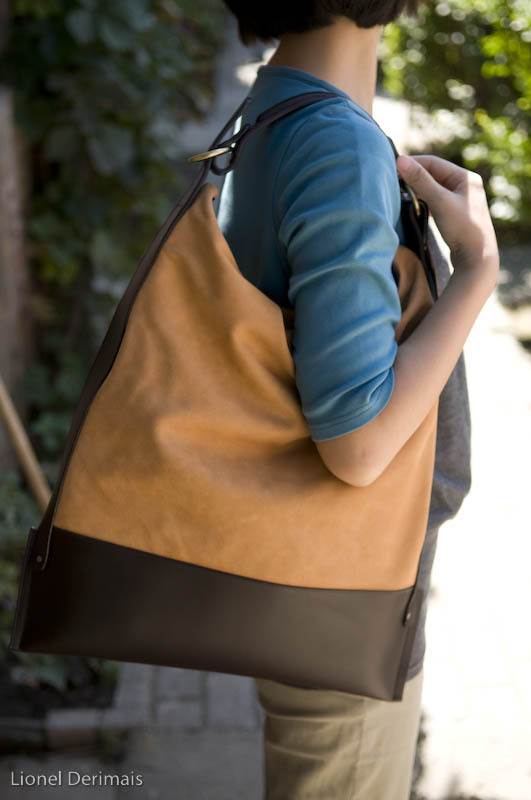 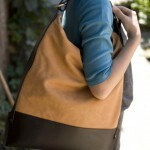 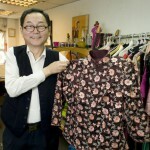 Hai Chen, Blue Shanghai White owner and main designer grants NMiC an interview. 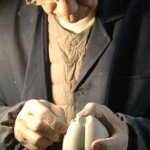 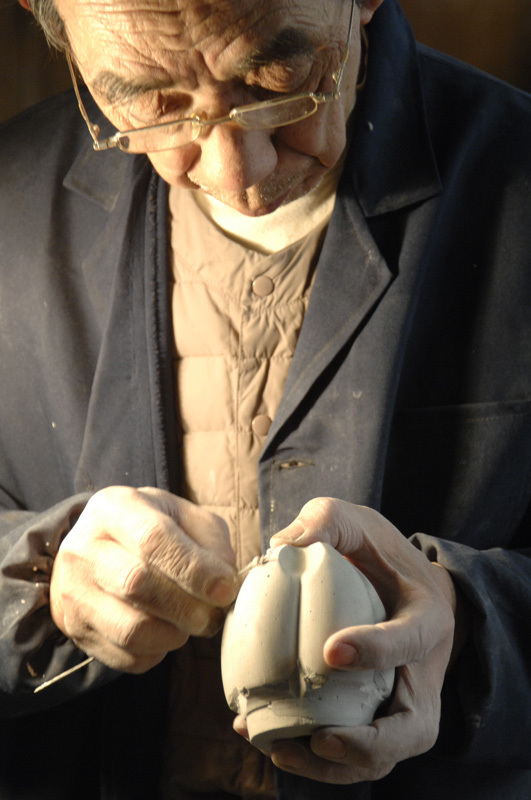 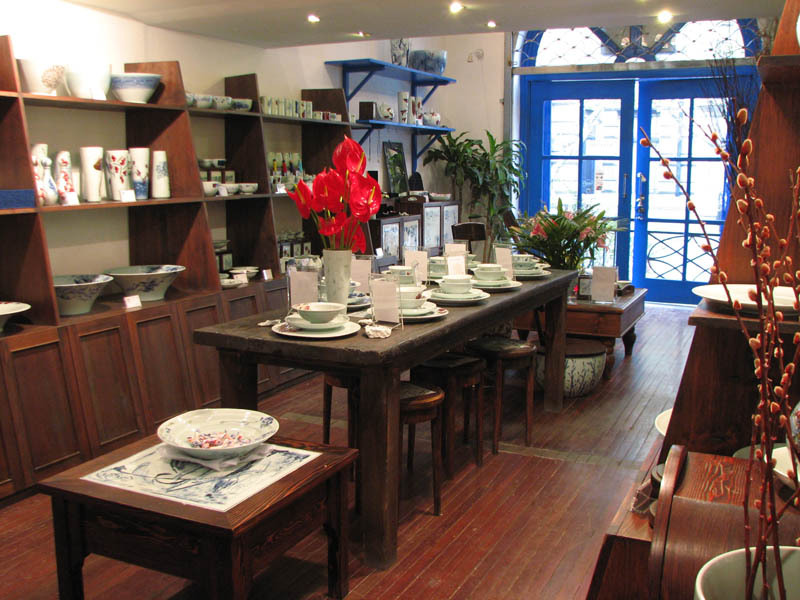 Hai Chen, how did you become a ceramist and when did you start Blue Shanghai White? 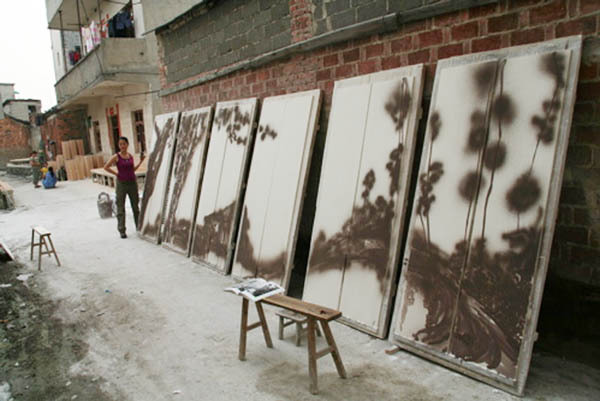 I studied fine arts and ceramics from 1987 to 1991 at the Beijing Central Academy of Fine Arts and at Beijing Central Academy of Fine Arts & Design from 1992 until 1996. 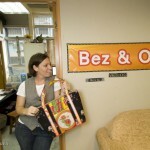 I created my company in 2003.